NEW! EVERYTHING you need to know about real estate as a career--and how to launch a successful one. This is an eBook--get immediate access!. 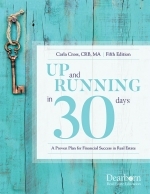 This month: Order this eBook and get the 4th edition of Up and Running in 30 Days (new agent's business start-up plan FREE--just pay shipping for the book, a $30 bonus). Now available to download to your Kindle! (Choose the version you want to download). The KIndle version is the 1st edition. This is the one eBook you need to answer all your pre-license and post-license questions. Be sure to download ALL the docs. The text is titled prelicenseebooktext.pdf. If you want the Kindle version, download the doc with the mobi extension. There are several bonuses for recruiters--great for your career nights. This month, you'll receive 6 documents excerpted from the book for you to use for your Career Nights. (for managers). Please note: the bonus handouts are not configured for Kindle; but, they are, of course, included in the text of the Kindle version. Order NOW and get 30 Things to Do Right Now to Hit The Ground Running (while you're in pre-license school). Instant access: This is an Ebook. Download it right away and get instant access (directions are at the bottom of your order receipt). Sure. There are lots of books on how to sell real estate. But, there’s no other book that gives you advice and guidance before you commit to real estate as a career. That’s What They Don't Teach You reveals. Plus, this book gives you guidance from your first week in the business through your first few months in the business. If you are considering going into Real Estate or you are new to the industry, Carla's book is an absolute necessary tool. This should not leave your side as you are learning the ropes! Imagine cutting down on the learning curve and going straight to results. Follow her plan and you will. Author Carla Cross has interviewed and started hundreds of real estate agents to successful real estate careers. From her experience, she’s learned what prelicense schools can’t or don’t tell pre-license students—critical things the future real estate careerist needs to know to hit the ground running. 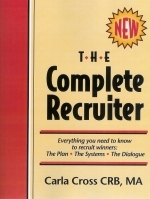 That’s where this book came from—Carla’s discoveries about the lack of information interviewees had about the realities of a real estate career. And, by the time they were hired by a real estate company, it was really too late to launch careers right. Give yourself the advantage of preparation and knowledge so you’ll truly lit the ground running to a very successful real estate career. Carla’s done it again! Her new book What They Don’t Teach You in Pre-License School includes a lot of the great stuff that Carla has learned and taught during her career in real estate, and a lot of new things that were not even issues for agents starting out just a few years ago. Her chapter Nine Hot Real Estate Trends includes some great advice on technology and social media, including some very important ‘what to watch for’ tips to help newbies keep from drowning in all the latest stuff. I’d recommend this book for every agent, regardless of how many years they’ve been around the track because we’re all working in a very new business environment these days! Charles Dahlheimer, publisher of The Real Estate Professional magazine and The Real Estate Executive Summary. He co-authored Real Estate in the ‘90s: A Whole New World Ahead and Coping With the Dynamics of the ‘90s, two “best sellers” that predicted the trends of the ‘90s with amazing accuracy. His latest book, 20/20 Vision has been dubbed a "must read" by industry leaders. As co-owner of REBAC, he was also responsible for the development of the Accredited Buyer Representative (ABR) designation program.